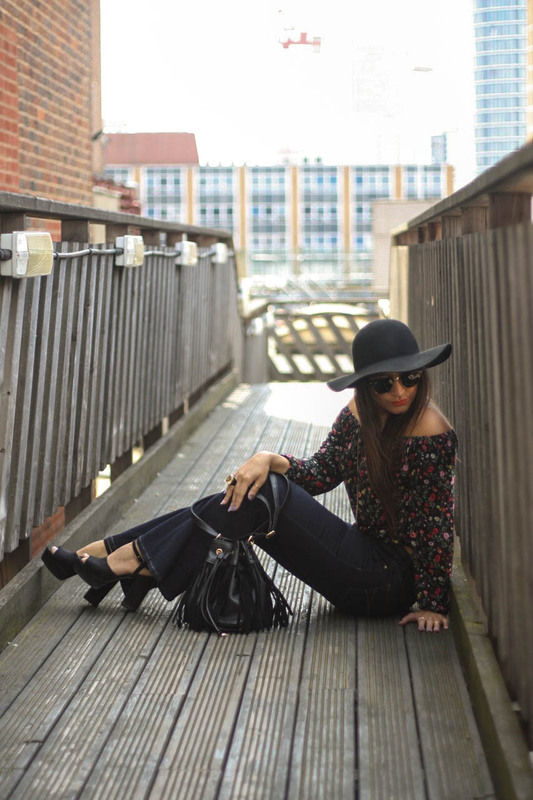 This summer, the 70s trend is all over the place – I am actually get to the point I am getting a bit bored of it. Still, it is a pretty trend and very wearable, with elements that are easy to incorporate in our wardrobes. For this Little Book of Fashion, I created this modern all-in 70s look, with flares, a gypsy top, platforms, fringes and a floppy hat.